SAN JUAN, PR -- Gov. 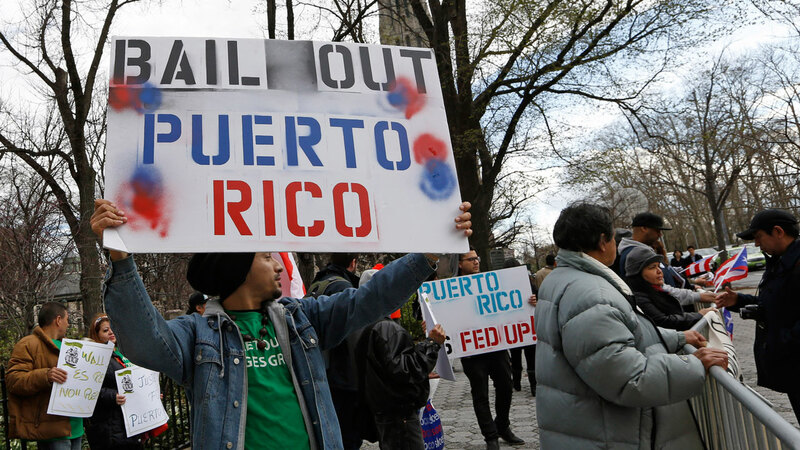 Alejandro Garcia Padilla announced that Puerto Rico's government will not make nearly $370 million in bond payments due Monday after a failure to restructure or find a political solution to the U.S. territory's spiraling public debt crisis. Garcia said Sunday that he had issued an executive order suspending payments on debt owed by the island's Government Development Bank, a default that will likely prompt lawsuits from creditors and could be a prelude to a deadline to a much larger payment due July 1. "Let me be very clear, this was a painful decision," Garcia said in a speech. "We would have preferred to have had a legal framework to restructure our debts in an orderly manner." Garcia said Puerto Rico's government could not make the payment without sacrificing basic necessities for the island's 3.5 million residents, including keeping schools and public hospitals open. "We will continue working to try to reach a consensual solution with our creditors," he said. "That is one of our commitments. But what we will never do is put the lives and safety of our people in danger." The governor had been warning since last year that the island's overall public debt of more than $70 billion is unpayable. Puerto Rico has been suffering through more than a decade of economic decline since Congress phased out tax cuts that had made the island a center for pharmaceutical and medical equipment manufacturing. Garcia's predecessors and the island legislature borrowed heavily to cover over budget deficits, causing a debt spiral that has already prompted several smaller defaults. Garcia lashed out at Congress for failing to pass a bill that would create a control board to help manage the island's $70 billion debt and to oversee some debt restructuring. He said it has been held up by "internal partisan and ideological divisions" in the House of Representatives. "We can't wait longer," he said. "We need this restructuring mechanism now."